I TELL YOU TO DO SO. What purposes for government are given in the Preamble of the US Constitution? What questions about government and citizens does a constitution answer? What are five characteristics of a constitution? What are the 4 freedoms of Expression? What are the benefits of Freedom of Expression? Should there be limits to Freedom of Expression? How can the rights of an individual and the rights of Society conflict? 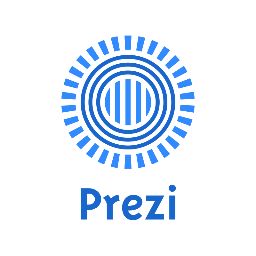 For this assignment, you will create a mind map using Prezi. This assignment will help you to familiarize yourself with the program, which we will use in the future in both English and Civics. Before you come to class on Monday, you should have assembled all the answers to the questions above and defined the terms. You will have time in class to finish the Prezi. Once you are finished, post your Prezi to the Blog Monday night. This will count 10% of your test grade. post it to the Weebly for everyone to see. 2. Make a list of unfair procedures (Before, During, After the trial) used by government officials in the case. 3. Identify which of the Amendments (Fifth, Sixth, Eighth) each unfair procedures violates. 1. What is the meaning of due process? 2. Why is it important to guarantee due process? an attack on the United States at the time. Does this violate an American's right to due process written in the Constitution? 1. How would you define freedom of expression? 2. What are the benefits of freedom of expression to the individual and to society? 3. What are some times that might cause government to limit the right to freedom of expression? 1. What are the conflicting rights and interests in this case? 2. In what ways is this case similar to the Tinker case? In what ways is it different? 3. Examine each of the two opinions on Page 205. Which opinion would you select to decide this case? Limits on the Freedom of Expression? 1. 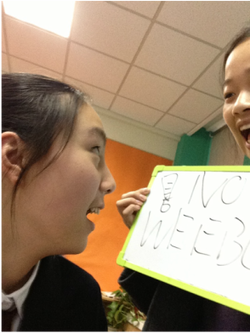 Mallory wrote a blog post with a picture that says, "No Weebly." If Mr Ward took down her post, would he be violating (not respecting) her freedom of speech? 2. Is there ever time when it is necessary to limit freedom of expression? Give 2 examples to support your point. In class our groups created photographs showing the four freedoms of expression listed in the First Amendment of the United States Constitution: Freedom of Speech, Freedom of Assembly, Freedom of the Press, and the Right to Petition the Government for a Redress of Grievances. 1. Each group must post 4 pictures showing the freedoms of expression. 2. For each blog post, you are to write a paragraph describing the picture and telling us how the picture shows the freedom of expression. A. Topic Sentence - What freedom of expression does this picture show? B. Descriptive Details - What is happening in the picture? C. Analysis - How does this picture show the freedom? D. Concluding Sentence - Why is this freedom important?